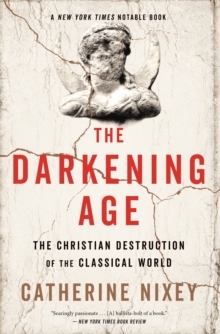 The Darkening Age is the largely unknown story of how a militant religion deliberately attacked and suppressed the teachings of the Classical world, ushering in centuries of unquestioning adherence to 'one true faith'. 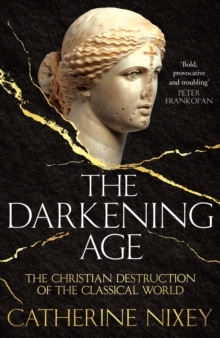 Despite the long-held notion that the early Christians were meek and mild, going to their martyr's deaths singing hymns of love and praise, the truth, as Catherine Nixey reveals, is very different. Far from being meek and mild, they were violent, ruthless and fundamentally intolerant. Unlike the polytheistic world, in which the addition of one new religion made no fundamental difference to the old ones, this new ideology stated not only that it was the way, the truth and the light but that, by extension, every single other way was wrong and had to be destroyed. From the 1st century to the 6th, those who didn't fall into step with its beliefs were pursued in every possible way: social, legal, financial and physical. Their altars were upturned and their temples demolished, their statues hacked to pieces and their priests killed. It was an annihilation. 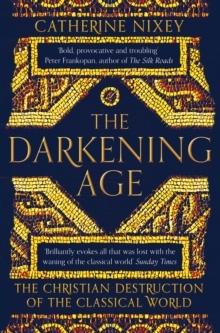 Authoritative, vividly written and utterly compelling, this is a remarkable debut from a brilliant young historian.